Whether seafood or meat, baby food, sweets or pet food: The solutions from K+G Wetter are successfully used in the most diverse variety of food processing applications. 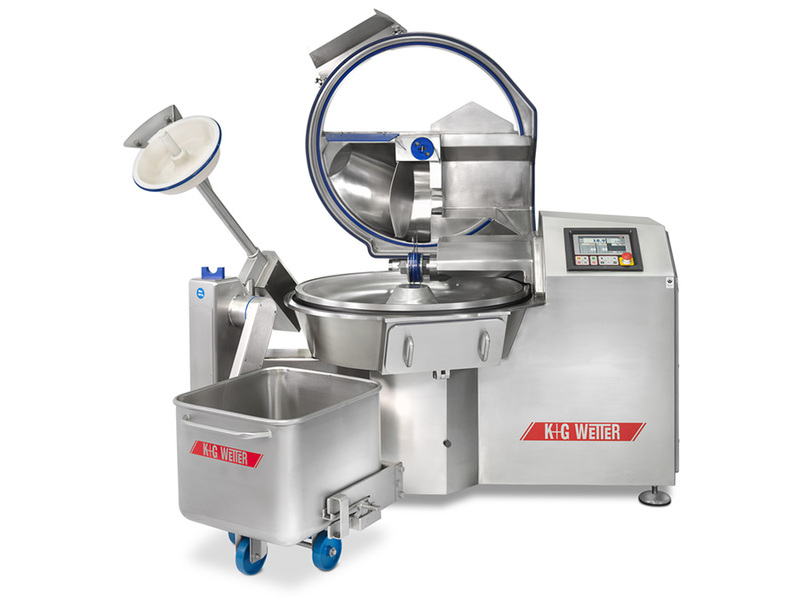 K+G Wetter will also be presenting the versatility of its machines from March 20th to the 23rd at the Anuga FoodTec in Cologne. "The Anuga is one of the most important international fairs for the food industry. We are very happy to be there again and cordially invite all trade fair visitors to get to know us and our machines at the exhibition stand," says managing director Andreas Wetter. 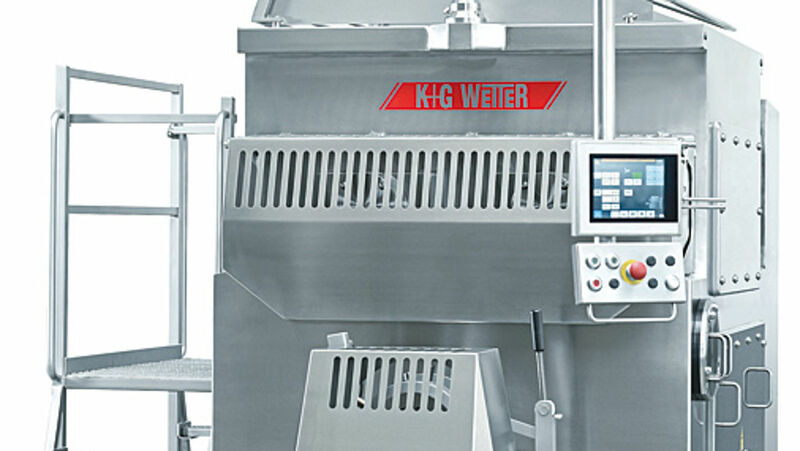 With new ideas and clever machine refinements, the solutions from K+G Wetter continue to ensure greater efficiency in the food industry. This is also the case with the new generation of touch panels, which combine modern touchscreen operation with push-button technology and are now fitted as standard in the K+G Wetter bowl cutters for the trade. For even easier operation, K+G Wetter has redesigned the touch panel's surface. 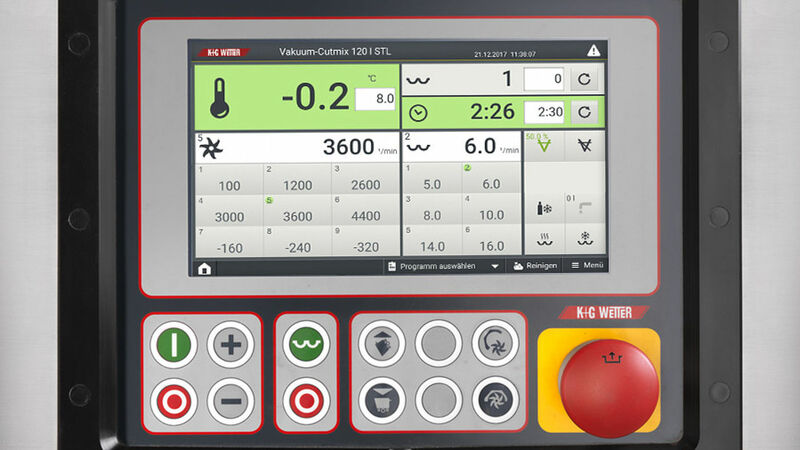 In addition to the optimised, self-explanatory menu navigation, which makes operating the machine significantly easier for the user, K+G Wetter has also made program control via the panel even easier. Frequently used commands, such as opening and closing the knife cover or adjusting the speeds, can be triggered quickly and easily by means of prominently placed illuminated ring keys on the control. Alternatively, individual commands can also be controlled directly via the touch panel, for example, different knife speeds, which are clearly visible on the screen and can be selected directly. 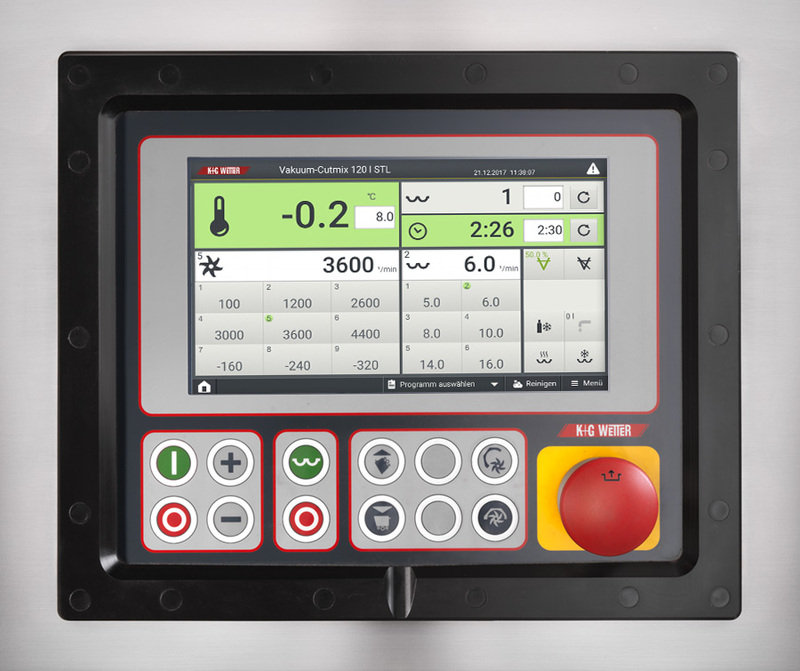 In addition, K+G Wetter's 'Cutcontrol' and 'Cutvision' software, which can be easily controlled via the touch panel, ensure maximum quality and safety in production. 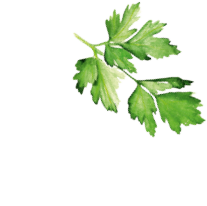 'Cutcontrol' is an automatic recipe control system that guides you step by step through the production process for the recipe in question. Once set up and saved, the recipe can be retrieved again and again in the same composition and quality. The ease of use also ensures very short training times for the employees on the machine, which saves time and money. For its part, the K+G 'Cutvision' software reliably records all production steps. All measurable variables, such as time or temperature curves, for example, can be read at any time, whether during production or months later. This creates the certainty of having all of the essentials reliably, fully automated and digitally in view. As regards grinders too, K+G Wetter is constantly working on solutions that make meat processing more efficient in trade and industry. 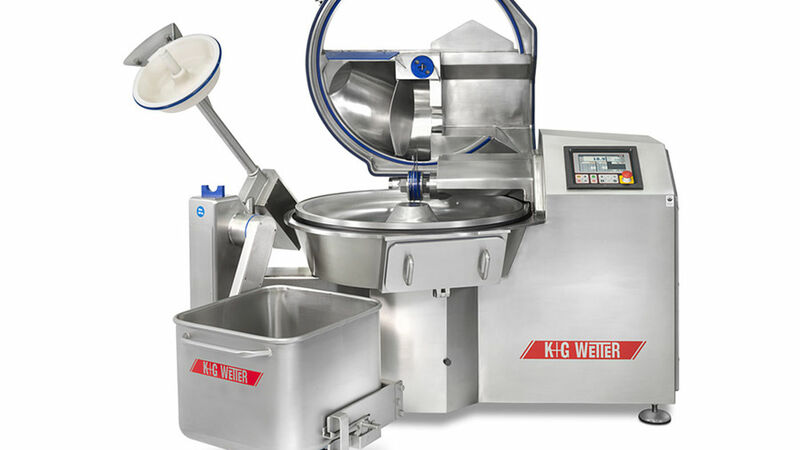 The MW U 200 mixer grinder impresses, for example, with a special design principle: The mixer part and the grinder part are completely separated from each other. Thus, the entire mix is first mixed with uniform quality in one single process. Only then does it pass through two large-sized openings into the grinder part of the machine. The mixing hopper is emptied quickly and does not leave any residue in the mixer, so that absolutely all of the material can be processed. A solution that ensures maximum yield without product loss. If required, the U 200 mixer grinder can be equipped with many useful extras, such as the pneumatic sorting device. Thanks to the advanced K+G sorting device, the hard components are moved to the side, making them much faster and easier to control. In addition, the sorting device can be removed or reinstalled within a few seconds via a practical plug-in connection, without the aid of tools. The individual components can be cleaned and reassembled in next to no time. 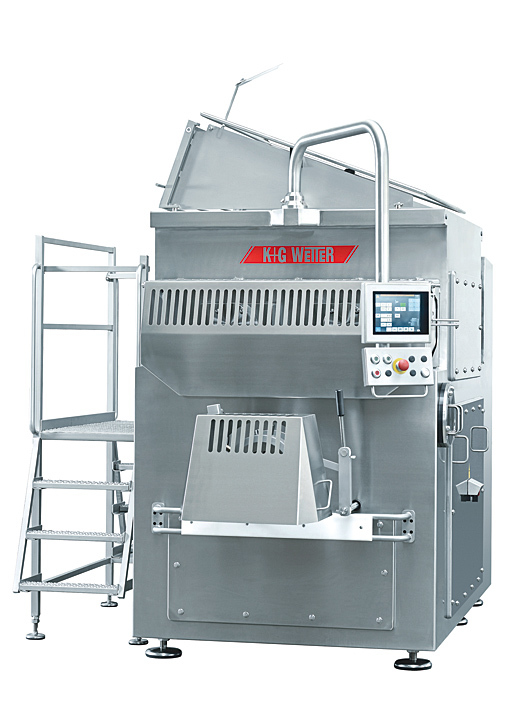 In addition, the U 200 mixer grinder can also be equipped with automatic water metering, CO2 or LN2 injection. If you want to convince yourself of the quality and the clever details provided by K+G solutions, you will have the opportunity at this year's Anuga FoodTec. The experts are looking forward to many visitors and exciting discussions in Hall 6.1, Booth A018 / B019.